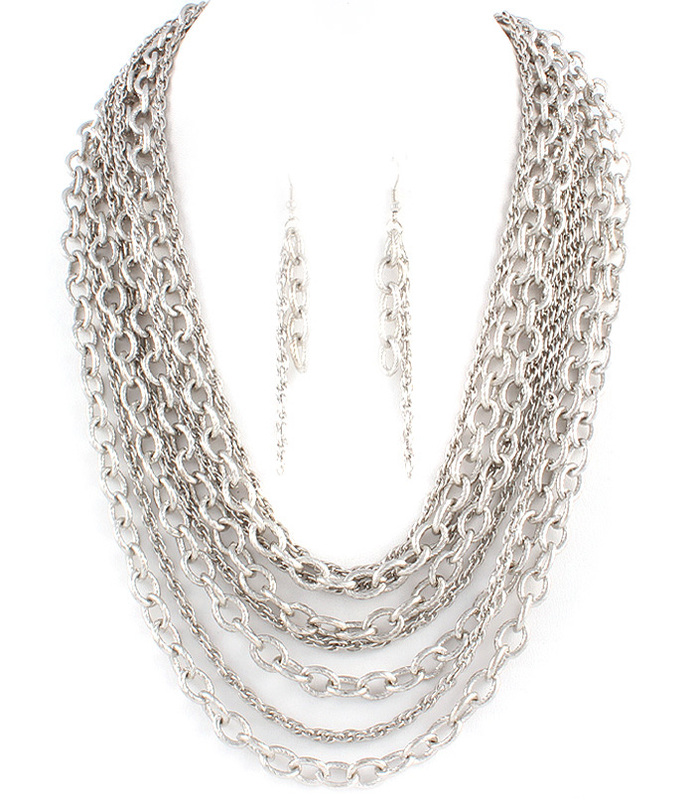 Super rockin chunky chain necklace and earrings feature large textured chains alternated with delicate tiny chains from silver tone metal. The earrings have two long chains each. Eight chains in the necklace. Support jewellery Australia and buy from Oz Bling today. We guarantee high standards of quality at lowest prices.